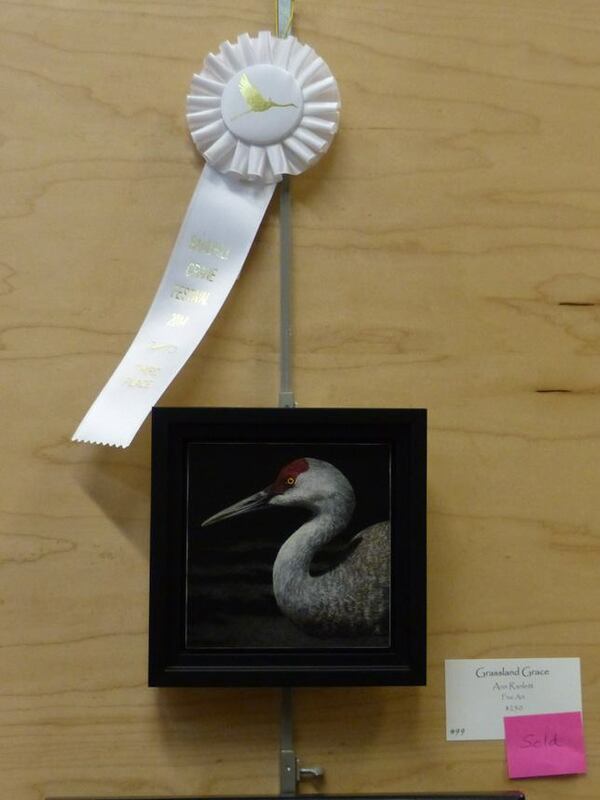 I’m happy to report that “Grassland Grace”, my scratchboard drawing of a Sandhill Crane won a third place in the Lodi Crane Festival’s art show and it also sold. Please read my blog post for the full story and to see scans of “Grassland Grace” in progress. This entry was posted in art sold, award, events, scratchboard, shows. Bookmark the permalink.